Utilizing general circulation models (GCMs) for paleoclimate study requires the construction of appropriate model boundary conditions. We present a middle Miocene paleotopographic and paleobathymetric reconstruction geographically constrained at 15 Ma for use in GCMs. 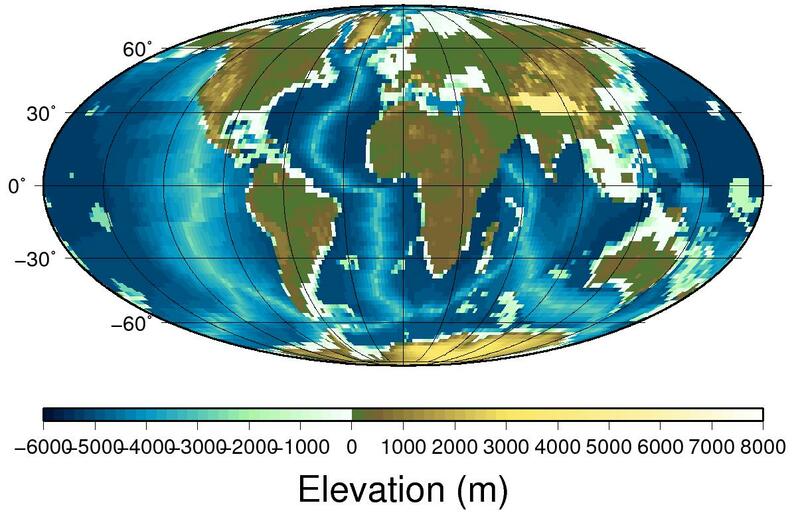 Paleotopography and paleogeography are reconstructed using a published global plate rotation model and published geological data. Paleobathymetry is reconstructed through application of an age-depth relationship to a middle Miocene global digital isochron map, followed by the overlay of reconstructed sediment thickness and large igneous provinces. Adjustments are subsequently made to ensure our reconstruction may be utilized in GCMs.